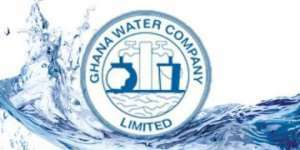 Mr. Kenneth Ennin, the Upper East Regional Manager of the Ghana Water Company Limited (GWCL), has said the Region would soon enjoy water sufficiency when the Tono Water Project is completed. He said the Tono Dam could store about 90,000 cubic metres of raw water and when fully completed and operational would supply enough water for both domestic and agricultural use to the Navrongo and Bolgatanga municipalities, Paga and Chaina and their environs. The Tono Irrigation Dam was constructed in the 1970s to supply adequate water to Navrongo and its surroundings to promote agriculture and improve the income generation activities of the people. As result of the lack of funds, the GWCL has not had the needed logistics such as a treatment house with pumps and tanks to produce treated water for domestic use using the Tono Dam. In an interview with the Ghana News Agency in Bolgatanga, Mr Ennin explained that the Government, through the Ministry of Water and Sanitation, had secured funding of about 42 million US dollars from the ING Bank of Belgium and Orio in the Netherlands to have the project completed. He indicated that part of the funds would be channeled towards dredging the Vea Dam in the Bongo District to increase its current storage capacity and meet the daily requirement of about 7000 cubic metres. 'The Vea Dam could store about 17000 cubic metres of raw water but produces only 4000 of the 7000 cubic metres of treated water daily demand by the people. When the Tono Dam is constructed, it would supply water to some communities in Zuarungu, while the rehabilitated Vea Dam would be directed to the Bongo District to augment the current water supply there,' Mr Ennin said. Whilst commending the sector Minister, Mr Joseph Kofi Adda, for his efforts to have the project completed, Mr Ennin appealed to customers to exercise patience with the GWCL for the intermittent water-cuts that some communities experienced in recent times, adding that it was the result of the Vea Dam producing below capacity. He advised customers to conserve water and report any leakages or bursts lines to the company. Mr Ennin said his outfit was pushing to have customer friendly working environment and that an ultramodern payment point had been commissioned to make payment more attractive and convenient for customers. 'The GWCL largely depends on the support and cooperation of our customers because they are our valued assets. Late last year, we commissioned a new payment point that would make payment easier to them and enable the company to get more revenue to work smoothly,' he said. He said though the electronic billing was being piloted in other regions in the country the GWCL would train the staff on it to ensure wider coverage.